The French government made a mistake detaining General Christian Piquemal during anti-migrant protests in Calais, as many people are aware there are a lot of illegal migrants who have broken French law by arriving in the country, experts say. An anti-migrant rally banned by the French government took place in the town of Calais on Saturday. The rally was organized by the PEGIDA movement. Several protesters were arrested. 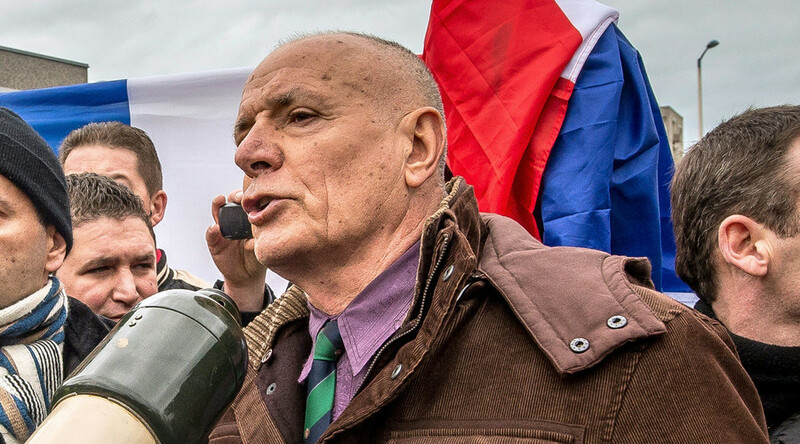 A former commander of the French Foreign Legion General Christian Piquemal, 75 - who spoke at the rally - was among those taken into custody. 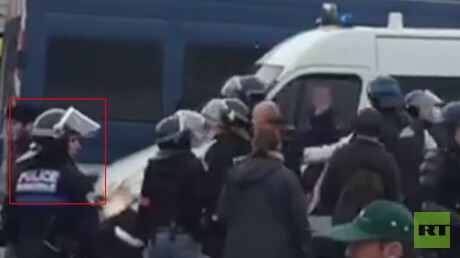 All could face up to a year in prison and should have appeared in court on Monday in Boulogne-sur-mer. However the appearance of Piquemal has been postponed after the retired general was taken to the hospital. Yvan Blot, former member of the National Front and European Parliament, and a friend of the General told RT he was surprised by the arrests in Calais. In his view, many of the migrants broke the law to getting into France, but remain free, whilst those who came to rally against the situation get arrested. Many people are now speaking out in defense of Christian Piquemal; that’s “because two thirds of the citizens in France” are against the number of the immigrants allowed into the country, said Blot. “A lot of people who are from the right, or from the left, who think there are too many immigrants; a lot of them – not all naturally – [commit] crimes. If you go to French prisons, you will see the majority of the people are very often foreigners who are illegally in our country,” he added. Former MEP Blot suggests it’s unlikely the retired four-star general would get a prison term. “You need to respect the function of the retired four-star general who commanded the most brilliant of all French units,” he added. “What surprises me is the way he was arrested, because the Foreign Legion is not a regular unit, as you know, it’s the pride of all the French Army... The government would have been wiser to do things in a much more honorable manner than this way on the streets,” the MP said. In Dhuicq’s view, the government applies double standards in dealing with pro- and anti-refugee demonstrations. “The second thing which is infuriating people is that you have the feeling that, when you demonstrate against Calais and immigration, you’re brutally arrested; and when you demonstrate for it, everything is open and tolerated,” he told RT. According to Dhuicq, the growing anti-refugee sentiment spreading among all sections of society is not a question of the right and left, but rather the way people in France feel.